During the grey fall days it is hard to believe that there’s blue skies – anywhere above. One lucky Saturday the clouds opened up a bit to let us catch a bit of sunlight. 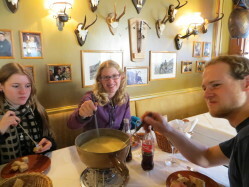 Knowing there weren’t any clouds in the alps, we headed toward them for a $100 fondue. 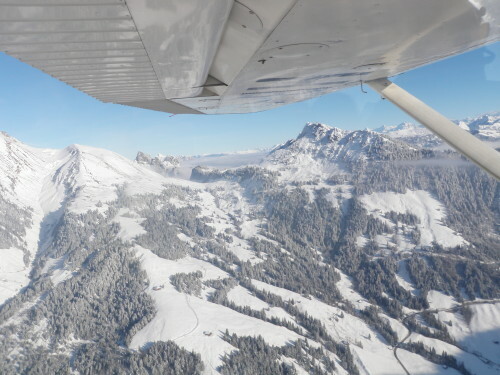 Climbing on top for a cruise toward the alps. 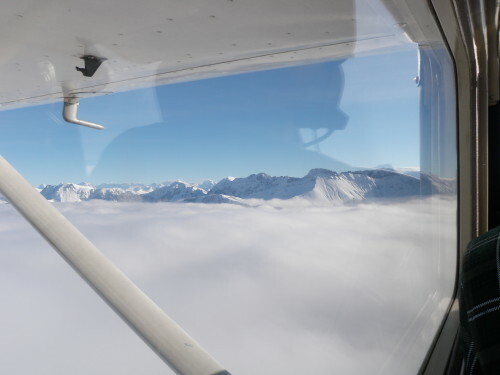 Approaching a pass in the Alps above the overcast. 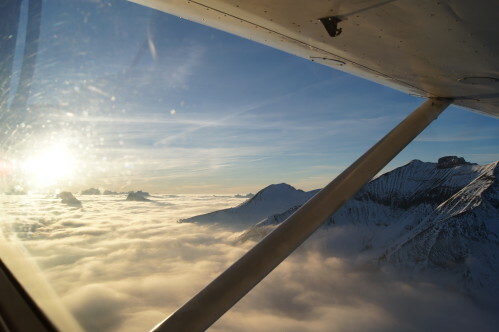 The serenity of VFR flying – the Swiss Alps. 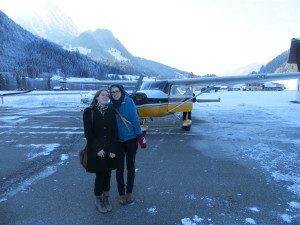 Icy surface at the airport of Saanen-Gstaad. 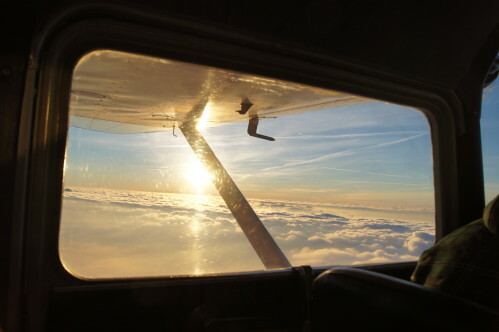 As it was getting dark early we went back to the airplane. 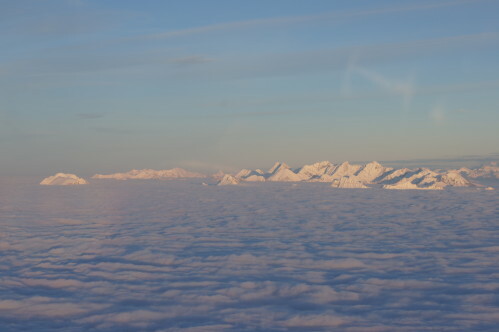 We were not sure if the clouds allowed us to descend back to our homebase. The lady from ground service ensured us we were welcome to come back if things didn’t work out. But we’ve been lucky and went back below the overcast at Lausanne. Gorgeous sunset and we didn’t know yet if we would find a way through the clouds. 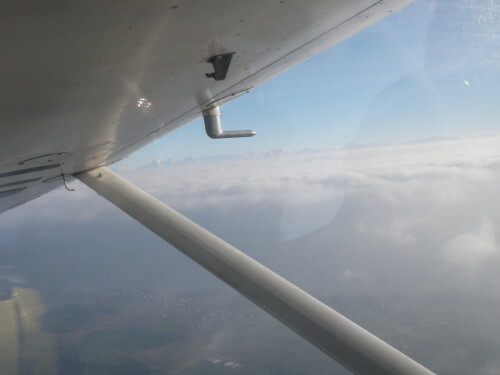 We always had an alternate above the overcast on the Jura mountains. This sight was one of the most beautiful I had ever seen. An artist was at work. Navigating above an overcast requires sound knowledge of navigational aids and a bit of dead reckoning. 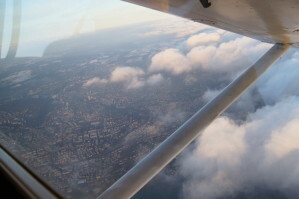 We didn’t need our alternate above the clouds, here we could duck under again. The pilot’s licence is just worth it, no doubt. After this flight I count 137 hours on aeroplanes. 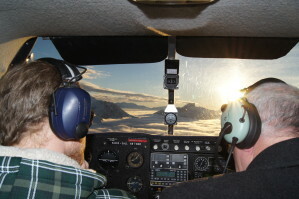 Now, my plan towards the commercial licence is to gain experience and enjoy flying until I have at least 200 hours. Then it’s time for America and to make sure I am well within Practical Test Standards. Plus there’s the Instrument Rating, and, and, and… looking forward to it.